Thanks to the Internet, there’s a great big world out there at your fingertips. And by catering to the different languages and cultures of potential customers, you can expand the reach of your business and make a lucrative impact in a new market. So when it comes to building relationships with your target demographic online, you should not only understand their browsing and buying habits, but also their local culture and behaviors. If you don’t, and end up approaching these customers with a blanket one-size-fits-all message, you run the risk of alienating them and driving them into the arms of a savvy competitor who speaks their language. Although entering into a new market can bring anxiety, it’s also an exciting opportunity to grow your business and build your reputation. Here are five tips to help you navigate your way through the ins and outs of localizing your e-commerce website. Before you take the leap and set up a website or sub-domain for a new market, you should first pinpoint via analytics from which countries your web traffic is coming. Only then will you know the languages you need to localize for. Beyond this, you must ask yourself the following: What is the official language of the country or region? Are there different dialects or secondary languages? How do your competitors communicate? Is it formal or informal? Once you have an insight into this level of information, you can tailor your existing content to target these customers in an effective manner. If you’d like professional guidance on the matter, then check out our localization services. It’s not enough to just translate the bare minimum; to be truly effective you must adapt the entire customer journey to the local language and customs. From payment systems to FAQs and online help, everything must be translated to ensure the maximum impact. And the technical content shouldn’t be overlooked either. Setting up local domain names and targeting the page titles and meta descriptions should make it easier to compete in the local search engines and increase trust in your brand in these new markets, while ensuring the necessary local keyword research has been carried will add value and meaning to your content. If you have a handle on your own marketplace, you might be tempted to roll out a similar marketing campaign in your new target country. 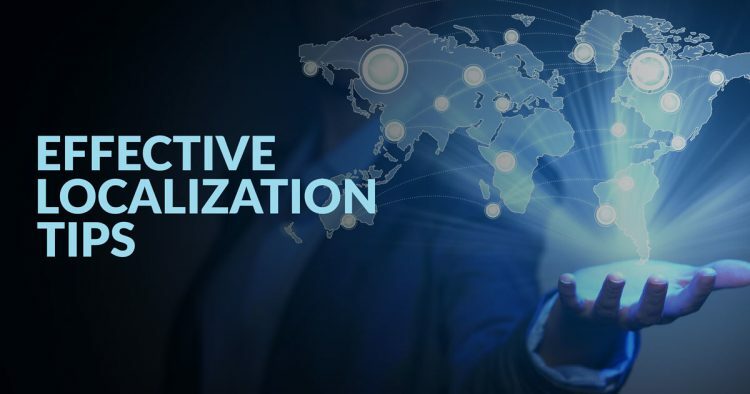 However, the key to successful localization is knowing which channels to target and how your target audience engages with them. As it stands, you may use the likes of Facebook, Twitter, Instagram, Snapchat and Pinterest to share content and generate web traffic. Yet a number of social media sites can’t be accessed from places like China or Russia. That’s why research is so critically important. For instance, China’s most popular social media platform is called Weibo, and it currently has over 100 million daily users; that’s a large, engaged audience that cannot be overlooked. When entering a new market, you need to establish trust with your target audience. This can be difficult if you are not a well-known, global brand. So, how do you overcome this issue? Simple: you need to build up a bank of reviews and testimonials from existing customers, translated into the relevant languages. And going forward, your new customers must have a means of rating and reviewing your product or service in their own language. By including this kind of content, you can fast track your way to becoming a trusted and well-liked brand in a new country, thanks to the vote of confidence from your target audience’s peers. The increase in smartphone sales across the globe means developing a dedicated, localized smartphone website is a no-brainer for your business. Many consumers will conduct research on their mobile devices prior to making a purchase, so ensuring your e-commerce website is mobile optimized and user-friendly, in addition to being available in the local language, will increase your business’s chance of success within a specific market or country. At the end of the day, if you follow these five tips and undertake the necessary research and preparation, then you’ll be ready to speak the right language and take your new marketplace by storm. Get more tips, advice, and news directly to your inbox by subscribing to our newsletter.